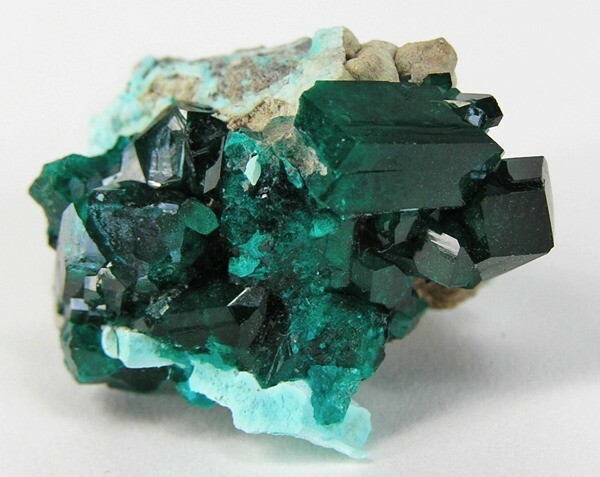 Despite some natural contact faces, a nice thumbnail of deep green, lustrous crystals of dioptase from Kaokoveld, near Tsumeb and producing crystals of similar quality (though in far less quantity). 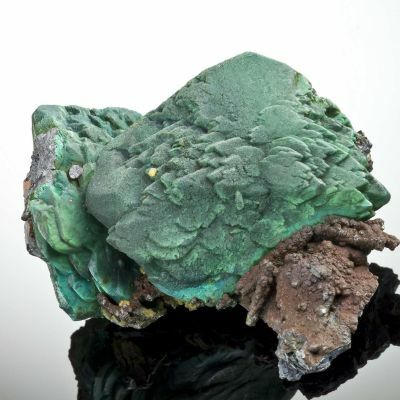 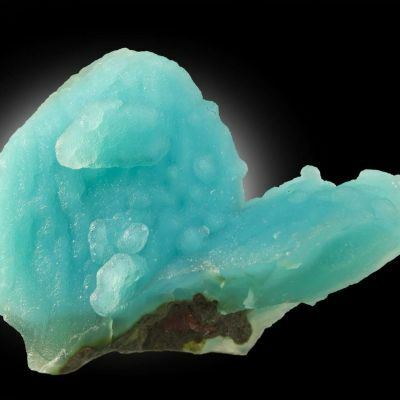 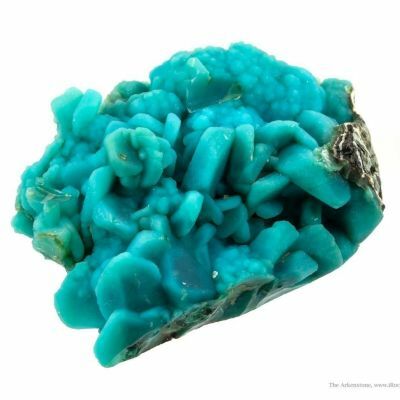 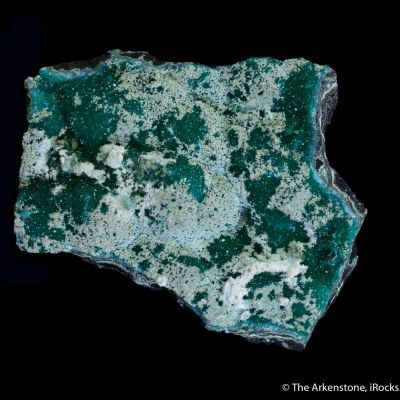 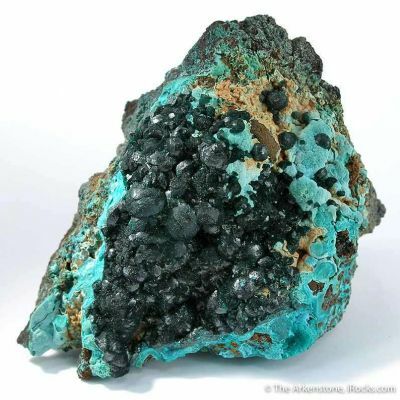 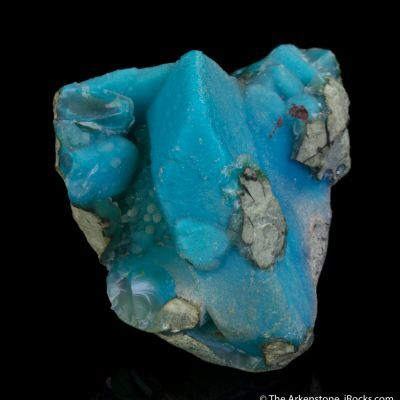 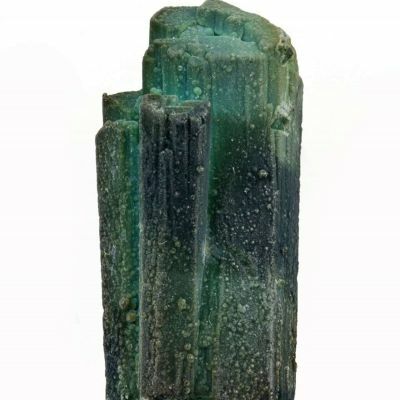 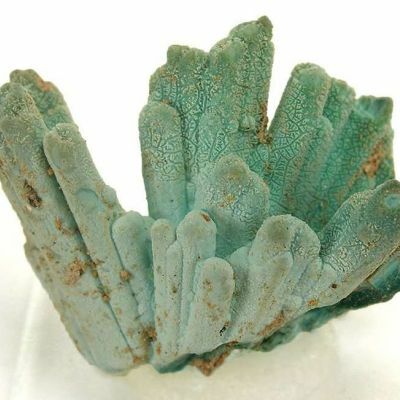 Here, the dioptase is associated with light sky-blue chrysocolla. 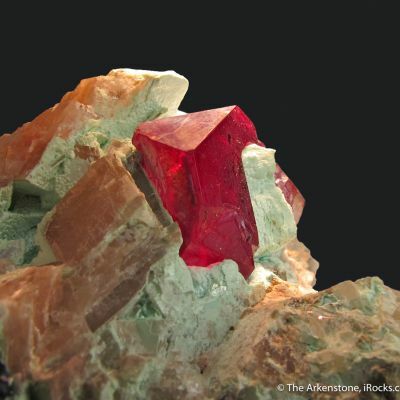 The largest crystal is just under one centimeter.